Communal gardens have become a fixture of neighborhood revitalization and community-building programs. Whether it be individual plots in one garden or one big lot that residents cultivate together, there is a growing escalation of a phenomenon with deep roots in American history, culture—and psyche. Statistics are hard to come by, but a report by the National Gardening Association found that the number of households participating in a community garden grew by 2 million between 2008 and 2013. Leading the swell are millennials, particularly in our nation’s urban areas. Stats like that, along with news of hipsters flooding to bankrupt Detroit to start urban farms, can make it seem like community gardens are a recent fad driven by the foodie/locavore movements. However, not only does community gardening and urban farming pre-date the coining of the word “hipster,” but they also have so much more meaning and impact than community building and local food production—although those are significant benefits. “When talking to ‘red zone’ [crisis or disaster] survivors—whether they be war refugees beginning a new life in Dearborn, Michigan; residents of New Orleans’ 9thWard after Hurricane Katrina; or homeowners struggling to hang on in a largely vacated Detroit—we often hear stories about how the act of planting has been critical to emotional survival and to engendering hope for the future,” writes Keith Tidball and Marianne Krasny in “Greening in the Red Zone: Disaster, Resilience and Community Greening." In fact, argue the two researchers, this attraction to nature and particularly to the act of planting is biologically hardwired. “Biophilia” is the term coined to describe the “innate human predisposition to affiliate with, or to seek out, nature. “Urgent biophilia” kicks in once war, hurricane or other crisis induces a feeling of intense threat or loss. Gardening or otherwise actively communing with nature renews the emotional affiliation with other living organisms, paving the way for both individuals and communities to recover and regenerate, say Tidball and Kasny. One of the most stressful experiences an individual or family can experience is becoming a refugee or other type of migrant. Displaced from the familiarity of their homeland, often as the result of traumatic forces such as war or persecution, they have multiple needs that community gardening can help fulfill. Global Gardens currently runs nine community gardens hosted by nonprofit partners, including NeighborWorks Boise, on land they own. Gardening is often an interest that must be deliberately cultivated among youth in urban, high-crime neighborhoods. But once they are both given the opportunity and shown the appeal, it can be transformative. One example is a unique program in the hard-scrabble eastern side of Cleveland, Ohio, that uses hip hop to attract youth to neighborhood engagement—and has found gardening to be ideal companion activity. The program is called Fresh Camp, explains Dee Jay Doc Harrill, a hip hop artist himself. The camp name comes from the hip hop meaning for the word “fresh”: unique, original, cool. About five years ago, Herill recalls, the group took a walk through their neighborhood looking for what was “fresh” around them. And one thing they noticed was the growing number of community gardens in the midst of what had been a food desert, often in previously littered, vacant lots. So, Doc reached out to the volunteers who run Ashbury Sprouts, supported by NeighborWorks member Famicos Foundation. They were given nine beds to garden, and at least one of the youth chose it as his favorite activity that summer. A 2010 study by the Denver Urban Gardens found that more than half of community gardeners satisfy the national guidelines for fruit and vegetable consumption, compared to a quarter of non-gardeners. In addition, 95 percent of community gardeners give others some of the produce they grow to friends, family or people in need (60 percent specifically to food-assistance programs). One focus of the Greening of Detroit is to help residents develop a healthy relationship with food through self-sufficient production and greater awareness of nutrition. Seasonal produce is grown in four hoop-house tunnels year-round. In 2015, 15,046 pounds of produce was harvested and of that, 7,315 pounds were donated to community organizations. In addition, classes on everything from “Grilling Your Vegetables,” to “Wild Edibles,” to “Preserve, Pickle and Freeze” are offered. However, the health benefits of community gardening may extend beyond the food itself. In their provocative “Greening in the Red Zone” book, the authors share the results of large, longitudinal studies of people aged 60 and older that have demonstrated a significant association between gardening and reduced risk of dementia. Tidball and Krasny dcument studies showing that community gardens lead to more neighbor-to-neighbor assistance in times of general need. Likewise, survey research shows that in low-income neighborhoods, community gardens are associated with an increase in organizing around other neighborhood issues, such as crime prevention. “We believe that creating an extensive network of community gardens prior to disasters would bolster the capacity for resilience before it is acutely needed,” they conclude. Receive our newsletters and other announcements directly! Sign up here! 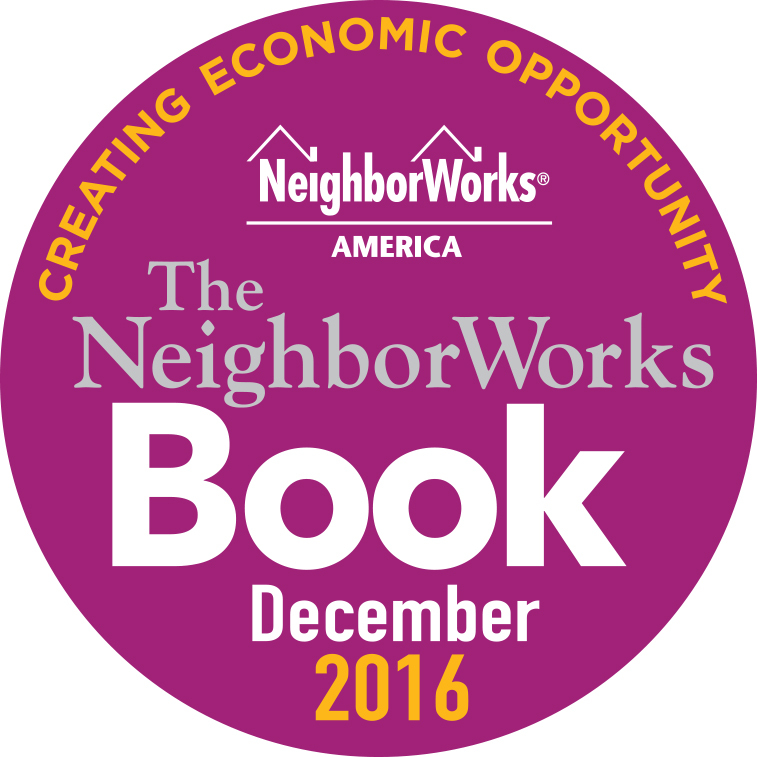 NHS of New Haven to be featured in a NeighborWorks Book! NeighborWorks America has officially announced the network organizations that will be featured in the upcoming NeighborWorks Book to be published December 2016. Neighborhood Housing Services of New Haven will be featured in the book! The book will consist of case studies of the outstanding work being done in community development, as well as innovative solutions in affordable housing. The strength of the NeighborWorks network; our experience and peer to peer resources, allow us to not only leverage our expertise but together build an elite solution-based platform to improve lives and strengthen communities to overcome even the toughest of challenges. We are proud to not only be participating in this project but also to be a chartered member of the NeighborWorks network. This article was originally posted on NeighborWorks America's website. NHS of New Haven is chartered member of the NeighborWorks network. Editor's note: Just like a renovated kitchen increases a home’s value, solar can do the same. The U.S. Department of Energy SunShot Initiative’s spotlight on solar and real estate highlights a variety of resources on the subject, including this blog post with useful information for anyone who is considering residential solar or is counseling someone who is. There also is information specific to homebuilders. The simplest way to get capital to go solar is through a loan, which can save you anywhere from 40% to 70 percent over the lifetime of your solar panels. These loans are similar to most home improvement loans used to complete upgrades or renovations, such as finishing a basement or re-doing your kitchen. A variety of sources offer loans, including banks and solar installers. A new type of loan is making solar energy accessible to even more people. Fannie Mae’s HomeStyle® Energy mortgage gives borrowers the ability to complete clean energy upgrades up to 15 percent of the as-completed appraised property value of the home. Borrowers are able to finance energy-efficient upgrades when purchasing or refinancing a home, eliminating the need for a subordinate lien, home equity line of credit, Property Assessed Clean Energy (PACE) loan, or unsecured loan. The mortgage requires homeowners to attain a home energy report in order to show the value gained through energy savings over time is greater than the installation price tag. The HomeStyle Energy mortgage changes the solar loan landscape. It will encourage solar installation companies to revisit their loan practices, allowing for more competition within the industry and reducing soft costs—such as permitting and installation—for consumers. People buying homes or refinancing mortgages now can have the cost of a solar array wrapped into their mortgages without worrying about higher interest rates. Regardless of the type of loan you secure, the solar on your roof is going to add value to your home. A recent study found that home buyers across the country have been willing to pay a premium of about $15,000 for a home with an average-sized solar array. Another study found homes with solar panels sell faster than those without. If you’re unable to secure a loan to purchase a solar energy system, you still have other options. You can obtain a third-party owned system through a lease or power purchase agreement (PPA) offered by some solar installers, whereby the installer owns and maintains your system. Solar leases require consumers to pay a fixed monthly payment that is calculated by assessing the amount of electricity the system is expected to produce. With solar PPAs, consumers buy the electricity generated by their rooftop system back from the installer at a set rate per kilowatt-hour. Although these arrangements are often offered with no money down, consumers don’t benefit from the rebates, tax breaks, and other incentives available to system owners. When the time comes to sell one of these homes, data shows that even though third-party owned systems add some complexity to the real estate transaction, the overall impacts are mostly neutral. Financing is a big part of going solar, and several SunShot Initiative awardees are working to lower these costs. Incubator awardee Sungage Financial created a marketplace that provides homeowners with easy, online access to low-cost financing for solar equipment. Pilot programs in the Northeast have helped the company understand how to meet the needs of consumers, installers, and capital providers in order to successfully and efficiently deliver financing solutions. Additionally, work under kWh Analytics’ Incubator award uses data analytics to help investors understand the perceived technical and financial risks associated with solar, which will build investor confidence and enable more capital to enter the market for residential systems. Consumers have a lot to consider when it comes to solar financing, but the end result is worth it: cleaner, more affordable energy that has the potential to greatly increase your home’s value. The U.S. Department of Energy SunShot Initiative is a collaborative national effort formed to aggressively drives innovation to make solar energy fully cost-competitive with traditional energy sources before the end of the decade. Through SunShot, the Energy Department supports efforts by private companies, universities and national laboratories to drive down the cost of solar electricity to $0.06 per kilowatt hour. Learn more at energy.gov/sunshot.